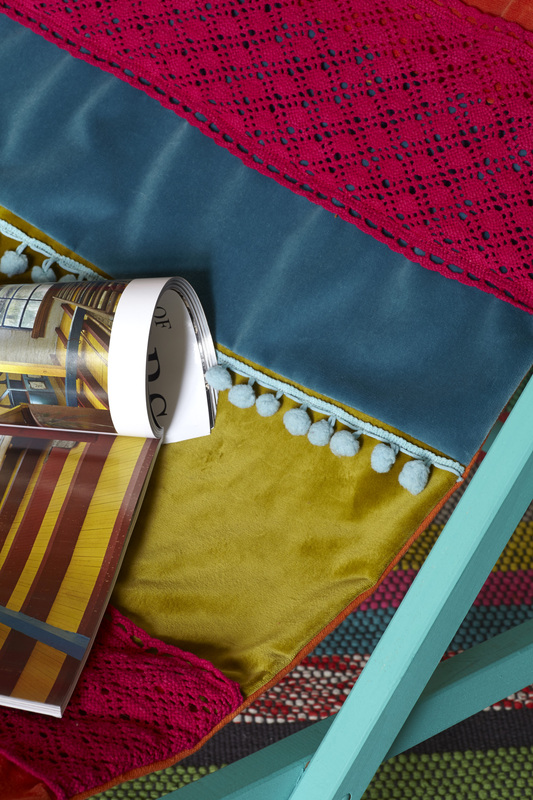 Deck chairs with damaged seats are easy to source and replacing the fabric is straightforward. Make your own unique statement piece by putting together a new seat using scrap fabric. 1. Erect the deckchair and mark the original seat fabric with the position of the top and bottom bar. Remove the fabric from the deckchair to use as a pattern for the backing fabric. 2. Measure the length between the top and bottom bar markings on the fabric, add 3 cm for a 1.5cm seam allowance at each end. Measure the fabric width and add 3cm giving a seam allowance of 1.5 cm on both sides. Use the original fabric as a pattern for the backing fabric. 3. 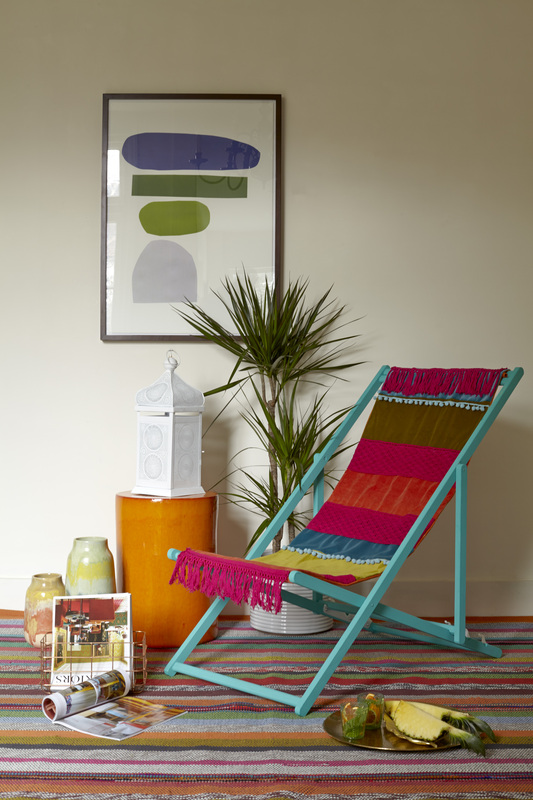 Rub down the deckchair frame lightly using sand paper, then paint and varnish when dry. 4. Round up all you scraps of velvet fabric and trim. Decide which fabrics and trim need dying, then dye in the washing machine following the manufacturers instructions. When the fabric is dry cut into strips and sew together to form the fabric for the seat, embellish with lengths of trim and lace. 5. Right sides together sew the new seat fabric to the backing fabric. Turn right sides out, turn in the seam allowance at both ends, machine down. Sew channels on backing fabric, then position on chair using the doweling rods to secure.